Laulu – this word means “song” in Finnish. Though I’m not a singer, I love music and song; and to me, this word itself sounds like a song. It’s the perfect onomatopoeia word. Approximate pronunciation: lahw-loo. (I say approximate, because remember I’m a self-proclaimed amatuer linguist, not a translator). Not really onomatopoeia this time, but pretty close; it’s a beautiful word (pronounced just like it’s spelled, as far as I know) and the meaning is what I especially like. English, rich in adjectives as it is, doesn’t actually have an individual word for something as specific as a beautiful sound. Literally translated, it means “light-mother.” Approximate pronunciation: lyohs-mothr (Icelanders, please – gently! – correct my poor phonetic spelling, if you’d like). Anyway, I first encountered this word on this blog; Icelanders frequently vote this as the most beautiful word in their language, and I agree. Not only does it sound beautiful to the ear, but the definition embodies the beauty of bringing new light and life into the world. Wonder – yes, finally time to put an English word on this list. “Wonder” is all about awe, discovery, amazement, and deep thoughts. I try to live my life with a sense of wonder – appreciating the beauty and awe of the world, and always curious and exploring. And, since several other words on my list are about music and sound, here’s a beautiful song all about the wonder of life and hope. What are some of your favorite words? Please share! I’ve been away for the past week, checking another country off my places-to-see list. I then suddenly remembered that I should put up a blog post, so here it is. This is me working off of several days straight of must-have-more-fun-faster traveler’s exhaustion, and trying to compose words that do not contain the letters ð and þ.
I quickly learned the all-purpose greeting of “góðan dagin” (that was about all the Icelandic I mastered). But apparently I did master that one phrase so well that when one cashier told me the price in Icelandic and I asked her to repeat it in English, she gave a laugh of surprise. 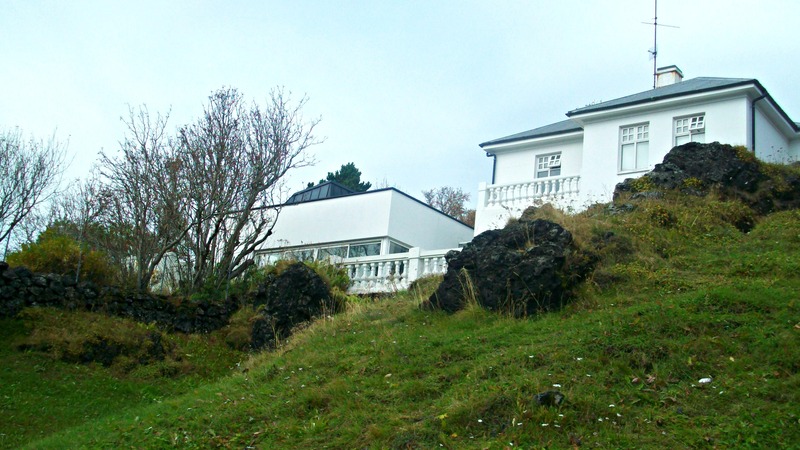 “You said góðan dagin so well that I thought you were Icelandic,” she told me. Score one for me, the professional linguist hopeful. Mt Esja the next day. Clouds and snow rolled in! 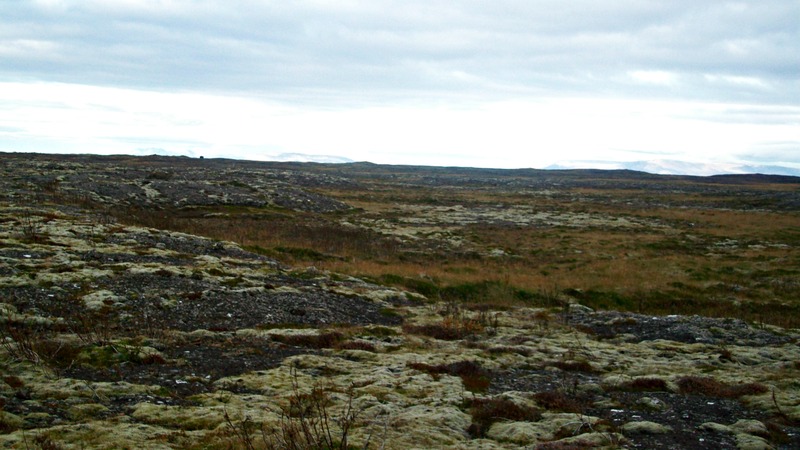 Iceland is volcanic (no kidding. Eyjafjallajökull, anyone?) So there are lava fields everywhere. Or big chunks of lava. Or both. Walking around the city, it felt like everything was uphill both ways. I went into a few books stores, of course, and did buy some books (all in English. My mastery of góðan dagin isn’t quite enough for me to read an entire book in Icelandic). One book store sold knitting supplies in the basement. Why not, right? 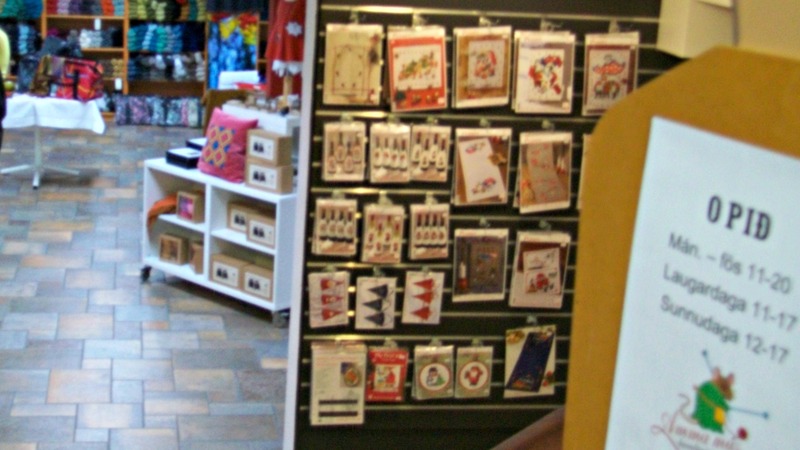 If you like to knit, Iceland is the place to shop. 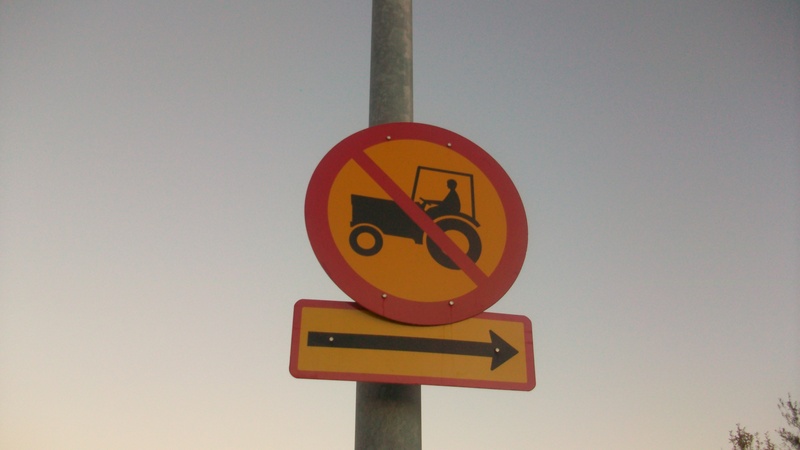 Apparently Icelanders do not want tractors cluttering up their city streets. C’mon, Reykjavik needs a few tractors, surely. 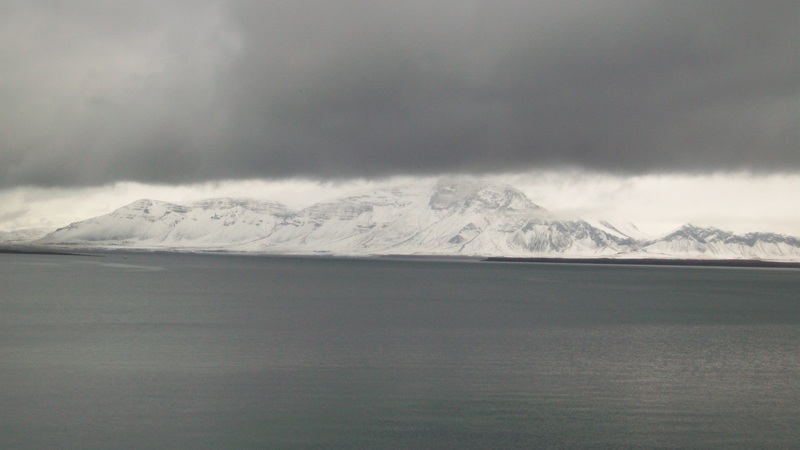 Stay tuned for more Icelandic-themed posts in the future, and maybe a guest-post by me on a blog about Iceland! Every language is influenced by other languages. And every language winds up adopting foreign words over time, sometimes adapting them to unique uses in the new language, and sometimes keeping the form and definition the same. For this blog entry, I thought I’d highlight a few common words that are used in modern English that actually have their origin in another language far removed. Such words are usually called “borrowed words,” which personally I find to be a strange term. The language and its speakers don’t temporarily borrow a foreign word with the intention of giving it back someday. “Adopted words” would be more accurate, in my opinion; but for now I’ll go with the more well-known linguistic term. Buffet—a self-serve spread of food, often found in restaurants such as an all-you-can-eat cheap Chinese buffet. This word is French, and it originally referred to the sideboard (or side table) where food was laid out to be served to seated diners at the dining table. Kayak—a narrow one- or two-person boat steered with a two-ended paddle. It’s an Inuktitut word (often spelled “qajaq” in that language). The Inuit and Eskimos of the Arctic used this boat for centuries for hunting and travel before we adopted it for recreational use. Piano—a musical instrument constructed of keys which use hammers to strike strings to produce the sound. It’s part of a longer word pianoforte, which is Italian for “soft-loud.” It meant that this musical instrument, unlike many others of centuries ago, could be played both softly and loudly. Sauna—a hot room, either steamy or dry, used for relaxation, rejuvenation, and all manners of sweating. We get the sweat-room concept, and the word, from Finnish. The Finns love their saunas. Bazaar—a large shopping venue, with many stores or booths selling a variety of merchandise. Bazaar is a Persian word, and us English speakers liked it so much we now use the word for everything from art shows to farmers’ markets to catalogs. Geyser—a hot spring that erupts from beneath the ground with explosive force, often at regular intervals. 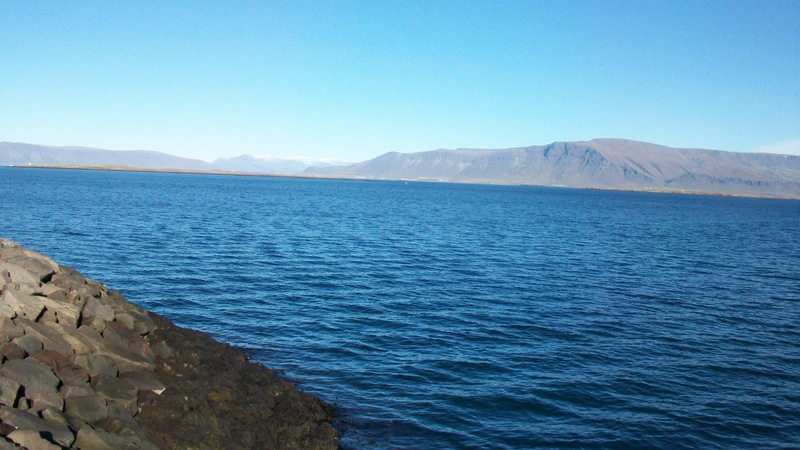 Iceland is a land where many geysers can be found, and that’s where the word comes from. “Geysir” in Icelandic is both the general term for this natural phenomenon, and the name of one of the island’s largest geysers. So there you have it—who knew that English uses so many words that aren’t English? And I could list many others. Anybody else have other suggestions to add to the “borrowed words” list? How about some words “borrowed” into other languages besides English?